AKA Silent Night Evil Night, Stranger in the House) 1974, Starring Olivia Hussey, Keir Dullea, Margot Kidder, John Saxon, Marion Waldman, Andrea Martin, Lynn Griffin. Directed by Bob Clark. 1974's Black Christmas is one of the most important Canadian horror films ever made, a decidedly gimmick-free spookshow that weaves terror and humor into a festive holiday package. Not only is it of interest to Canuxploitation enthusiasts for the Canadian connections, but it remains a benchmark flick for horror film fans who want to see the low budget classics that helped create modern big budget slashers. Since arriving from Florida, Bob Clark has made some of the most prominent Canuxploitation films. After cutting his teeth on a variety of mid-1960s sexploitation flicks, Clark made his first foray effort in the horror genre with a strange little film called Children Shouldn't Play With Dead Things. Starring his friend Alan Ormsby, Children was co-financed by Quadrant films, a new Canadian production company that started up at the beginning of the CFDC days. Finding some success and notoriety on the drive-in circuit, Ormsby and Clark followed this up with another zombie epic called Deathdream. When they brought that film up to north to complete the post-production, the filmmakers decided to stay on to take advantage of the newly established tax shelters. For their first Canadian films, Ormsby directed Deranged, a docu-drama about Ed Gein while Clark started work on Black Christmas. A few days before Christmas, " Billy," an unknown intruder sneaks into the attic of a university sorority house. Inside, Barbara (Margot Kidder), Jess (Olivia Hussey), Phyl (Andrea Martin) and Clare (Lynne Griffith) are pulled away from their holiday party by an obscene phone call. Barbara laughs it off, until she hears an unmistakable threat over the snorting, screams and gurgle--sthe caller clearly whispers " I'll kill you!" Later, as Clare is packing to go home for the holidays, she is suffocated by the unseen Billy, who wraps a dry cleaning bag around her head and drags her to the attic. When Clare's father can't find her the next day, he goes to the police with the girls housemother Mrs. Mac (Marion Waldman). After learning a second girl has gone missing, Lt. Fuller (John Saxon) organizes a search party. Meanwhile, Jess has her own troubles. After arguing with her boyfriend Peter (Keir Dullea) about her intention to have an abortion, she returns home to another obscene call. Concerned they might be connected with Clare's disappearance, Lt. Fuller traces the calls and discovers that they are coming from... inside the house! Instead of following the police's stern warning to leave, Jess hopes there might be enough time to save her sorority sisters and cautiously climbs the stairs towards the attic. Clark is in top form in Black Christmas, stretching the audience's nail-biting fear from the first frame to the last. The sorority house sets the tone as the brooding centerpiece of the film, a sight as impressively gothic as any crumbling castle. Unlike merciless murder machines like Jason and Freddy Kruger, the intruder known only as Billy is an ambiguous stalker who specializes in psychological terror he's not in the house to rack up slaughtered teens and toss off one-liners, he's a vehicle for the audience's fears in a way those established characters could never be. Clark obscures the character's identity almost entirely with point-of-view shots, and gives him little intelligible dialogue. Lacking a distinct form or personality, Billy's really anything you want him to be, and that's primarily what makes Black Christmas so successful. Shifting focus away from the killer has the curious effect of making the characters in Black Christmas much more than just victims in waiting. There's a real story here beyond the basic plot of the film, and each character is given appropriate screen time to flesh out their personality, often with a good deal of humour. Of course, casting helps too, and that proves to be one of Black Christmas' greatest strengths. Hussey and Dullea are the obvious stars of this ensemble, but just about every cast member puts in an above-average performance. A young Margot Kidder is particularly notable as Barbara, a tough-as-nails student whose drunken attempts at consoling Clare's father prove to be the comic highlight of the film. But it's Marion Waldman's portrayal of sweet, lovable Mrs. Mac that almost steals the film with her foul mouth and bottle of liquor hidden in the toilet. Even though it was made by an American, Black Christmas has a very strong Canadian sensibility. 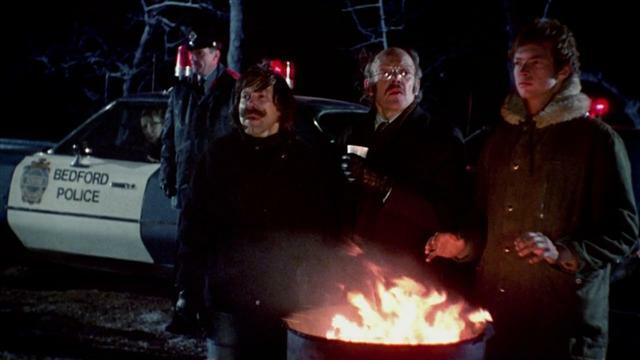 In his review of the film, David Alexander points to the killer in Black Christmas as a representation of the Canadian persona. Billy stands out against the traditionally macho film murders as a more "effeminate" presence. He is more emotional than logical, seems obsessed with motherhood, and has smaller features. Keeping with this, it is the stronger female characters that actually represent a threat to Billy, as the male characters often prove as impotent as the "loser" characters in Goin Down The Road. However, the most notable difference between Black Christmas and American slasher horror is a lack of moralizing. Conventionally, promiscuous teens are the first to fall under the killer's blade, but just the opposite is true in this case. The film's heroine Jess is not only pregnant, but also planning an abortion. Conversely, the first to fall under the blade is the most innocent. This is a refreshing change from the heavy-handed moralizing that has become standard in American horror, and puts all of the characters in equal peril. 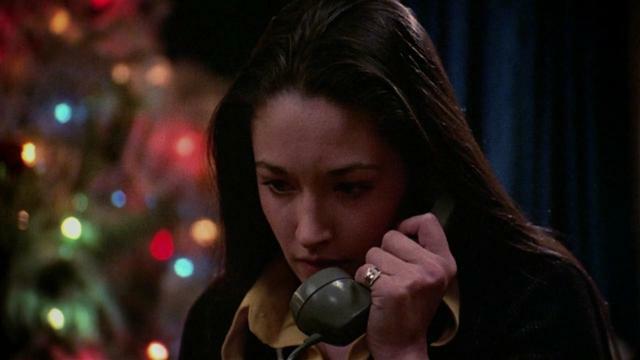 Black Christmas received the kind of treatment from critics one would expect. Like much of Canuxploitation, Canadian critics attacked the film for appealing to more low-brow (read: American) tastes. 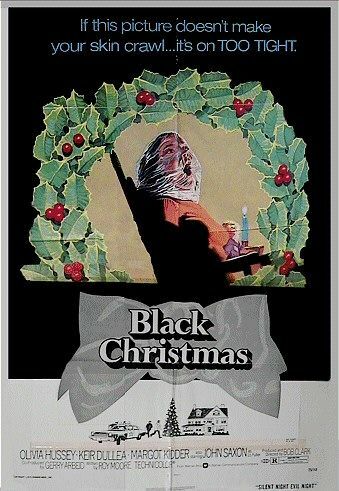 Black Christmas was made an example of the kind of film that should not be receiving any arts funding. Alexander points out that the Catch-22 of English Canadian film is that the film represents a cinema that simultaneously attempts to reject and cater to popular American cinema, in the process fails both countries. But as a horror film, Black Christmas is definitely a success. Although tempting, it's unfair to lump Black Christmas with the teen slasher films of the early 1980s, a cycle that really started with John Carpenter's Halloween (1978). This is a film more about atmosphere than body counts, and there's more disturbing content in Billy's schizophrenic, threatening phone calls than in any of the few scenes of violence. It is this creepiness that makes Black Christmas a widely regarded horror film that should be of interest to all horror fans no matter what nationality.